Hercules goes the distance as he transforms from zero to hero in this Vaudevillian salute to one of Disney's beloved animated feature films. Laughter, music and lots of fun await with Hades, Meg, the Muses and the rest of the gang in this one-of-a-kind performance. 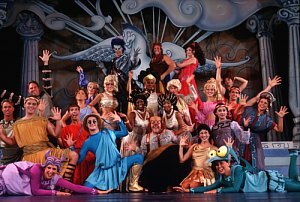 Features some of the sensational songs from Disney's animated hit, "Hercules."